Double Whammy: The song says “Rainy days and Mondays always get me down”. 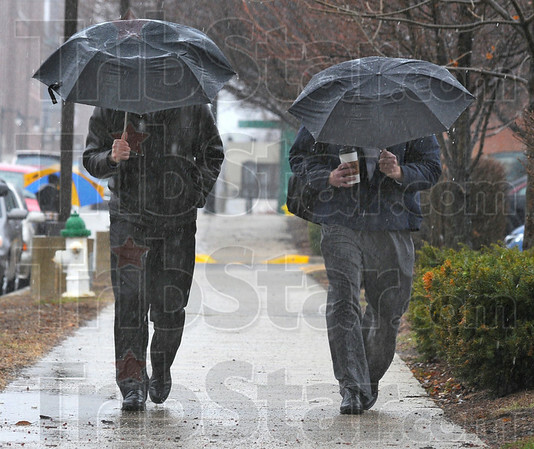 Here ISU faculty members Paul Schikora and Ken Jones return to the College of Business after their lunch break. Day long rain Monday swelled the Wabash River , pushing it over the 14 foot flood stage.